Updated: 6:52 p.m. | Posted: 12:57 p.m. The southern Minnesota Catholic diocese of Winona-Rochester plans to file for bankruptcy protection later this month, as it faces lawsuits alleging former priests sexually abused children. In a letter to parishioners this past weekend, Bishop John Quinn said that bankruptcy offers the best opportunity to resolve 121 claims of sexual abuse. "Bishop Quinn, in consultation with a number of groups within the diocese, feels that this is the best way to help bring about healing and justice for survivors and a way forward for our entire diocesan community," said Matt Willkom, director of communications for the diocese. He said the bankruptcy filing will not affect the day-to-day operations of diocese parishes and schools. Victims would be compensated from diocesan savings, insurance and asset sales. The Winona-Rochester diocese includes 20 counties and serves more than 131,000 Catholics. 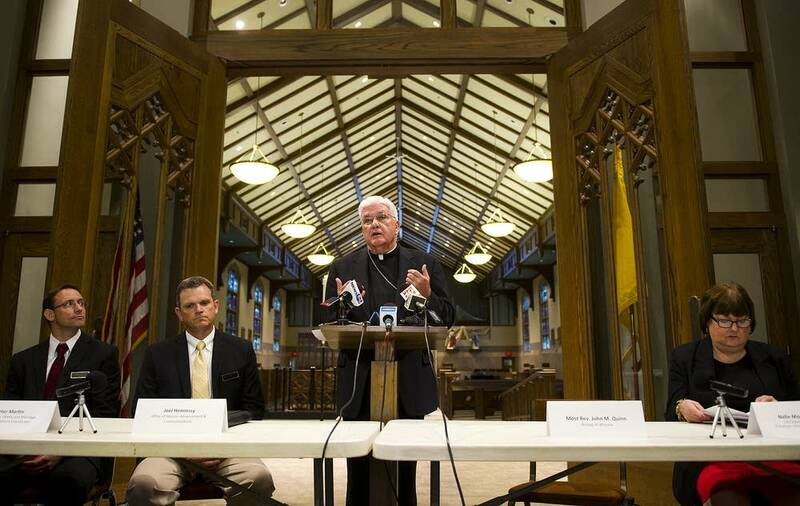 • 2015: The archdiocese has filed for bankruptcy. Now what? The diocese is following the path through bankruptcy as others have, including the Archdiocese of St. Paul and Minneapolis and the dioceses of Duluth and New Ulm.